Climate change has been felt by many as extreme weather events have already devastated many Caribbean nations this year. It is more important than ever that globally, nations are working together to combat global warming. Belize was no stranger to these discussions as last week concluded the 23rd annual “conference of the parties” (COP) under the UN Framework Convention on Climate Change (UNFCCC) held in Bonn, Germany. The world’s nations met to discuss an end to global warming and strengthening the 2015 landmark Paris Agreement. The Paris Agreement was adopted during COP21 and written by 197 parties outlining plans to mitigate greenhouse gas emissions with a goal of keeping global temperature rise this century below 2 degrees Celsius. While the United States intends to withdraw from the Paris Agreement as soon as it is eligible to do so, making it the only nation unwilling to join, the rest of the nations in attendance at COP23 were busy working towards solutions and progress. Belize’s Omar Figueroa, Minister of State in the Ministry of Fisheries, Forestry, the Environment, and Sustainable Development was in attendance. While in Germany, Figueroa said, “We cannot afford to ignore the devastation that Climate Change has on people. Confronting Climate Change challenges requires swift, collective and cohesive actions of our governments, local leaders, civil society, the private sector and each individual. In addition to Figueroa, Dr. Lennox Gladden, policy coordinator for Belize’s Fisheries, Forestry, Sustainable Development, the Environment, Climate Change and Solid Waste Management Authority moderated a side panel titled, “Building Capacity of Tackling Regional Climate and Sustainable Challenges.” The panel highlighted multi-stakeholder approaches to implement climate action, looking at case studies from India, Taiwan, and Belize on best practices, risks, and lessons learned. 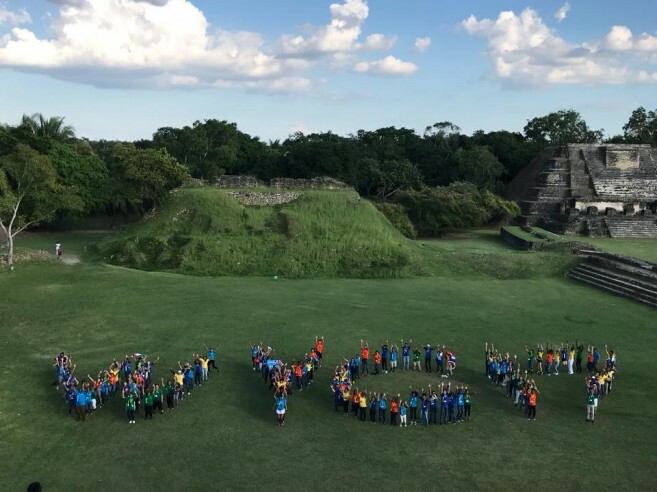 In conjunction with COP23, Belize was also the host to the World Youth Conference, “Globally Running in 2030, Becoming Sustainably Strong” held in Belize City. For the very first time, this conference was held in the Caribbean Region and Central America. Over 250 national, regional and international youth leaders met for four days of panels, roundtable discussions, workshops, and musical and cultural presentations on various community, national and international youth-related issues and sustainable development. Belize’s representation during these critical global meetings is necessary. As the population and tourism in this small Caribbean nation grow, more resources are needed to support more people. These growing needs have had a negative impact on deforestation rates as protected areas are chipped away for natural resources and land cleared for agriculture and development. While BFREE works towards sustainable solutions to protect tropical rainforests, we can’t do it alone. We are thrilled to see a strong representation by Belize during last weeks COP23 and are excited to continue working towards more solutions and progress in protecting our climate and forests.